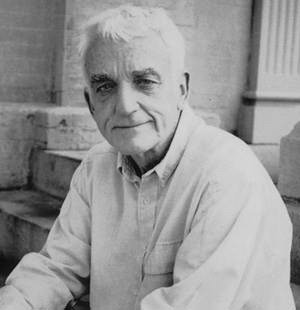 On April 12 the earth said goodbye to author/speaker/teacher Brennan Manning. He wrote books like Abba’s Child, Ruthless Trust, and most notably The Ragamuffin Gospel. I actually got to take in Brennan’s teaching in person at a Compassion Artist’s Retreat in Nashville in 2001. It was one the first times I got be a participant rather than a presenter. It was also unique because the participants were all musicians, speakers, and communicators who spend their life traveling the road using their gifts, skills, and art to help people connect with Jesus and at the same be time an advocate to rescue children who can’t rescue themselves. I was hit with a fire hose of Gospel. I thought I was there for fellowship and some sweet candy inspiration when I actually experienced two days of a life-changing truth I never trusted: the God creator of all calls me His son and I get to call Him Abba. It was that retreat where God would start a new work in me through Jesus that would change my songwriting, worship leading, and teaching. It was where Father’s love would taste like it never had before. Healing started and, to be honest, still continues. Yep, that’s where it started. Brennan actually taught me the phrase. It has changed me forever, and I have never tired of singing and leading the song. I never got to see Brennan Manning after that weekend. I wish I could have. I would have loved play the song for him. Brennan’s life has been recorded as hard with lots of bumps, frustrations, and falls. I get it. I am also grateful for that window God opened in my heart those spring days in Tennessee and that He used a ragamuffin to get my attention. I am forever grateful Brennan. I belong to my Abba Father God. Not matter how many times I “should” on me. Have you been influenced by the life of Brennan Manning? Have you found the song “Abba I Belong to You” to be helpful? In memory of Brennan, you can download “Abba I Belong to You” for free at PederEide.com. Feel free to share this with anyone who you think would be blessed by it. I was on a flight to an event going through my normal routine. I like to have a coffee in one hand and the newspaper in the other. I especially like it early in the morning because then it’s like I’m reading brand new news and not something I caught a piece of on the trillion screens we have in every restaurant, mall, airport, and even on our phones. I like to read the story. In the midst of reading world news and editorials an advertisement grabbed my eye. 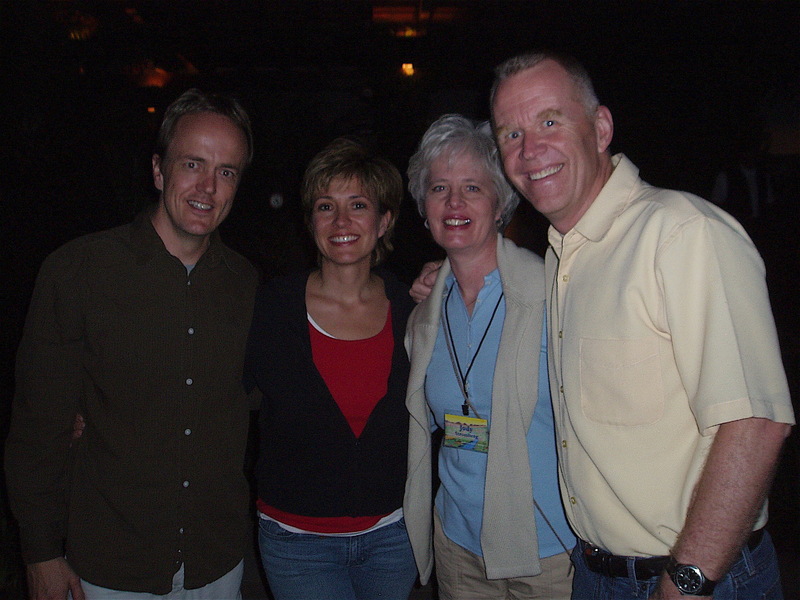 Weeks later I was at Camp Timber-lee with the band playing for a senior high extreme weekend. The speaker was an important friend in my life named Pastor Jeff Klein from Wheaton, IL. Jeff has taken many days to talk with me and pray for me. I actually send my lyrics to him to check my theology, content, and message. That weekend he talked about how so many people in the Bible are referred to as people who “walked with the Lord” or how “the Lord was with them.” In the examples he gave, I started to think about how I forget that when life gets so hard. Even as I write this, I confess to you I feel very overwhelmed by some things and even defeated in some regard. When it’s hard, I will sometimes call on God in prayer like He is located at some fire station down the street or like He is an ambulance. But it’s just not like that. 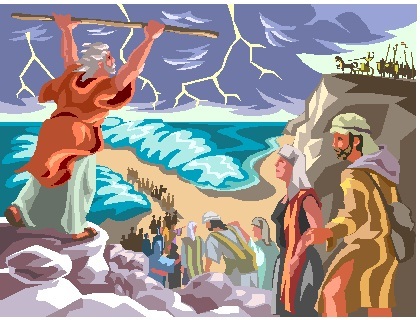 I started to write down people in the Bible like Moses or David and wondered what they may have felt like in super intense moments. His answer? Because Peter was just filled with the Holy Spirit and the Holy Spirit is NOT afraid. That’s what I needed to hear and what I wanted the bridge to say in the song, so that’s we wrote. My friends, for me “You’re With Me” was a different style to write and but as you read and I hope listen to the song, you will realize the RESCUE God gave us was so we never, and I mean never, have to be afraid. Simply because God is with us. I’m not afraid. I’m not afraid. I’m not afraid. No, I’m not afraid. You’re with me. You’re with me. On the Rescue project, a song that was truly a labor and love to write was “Come To The Rescue.” My 13-plus years of partnership with Compassion International and adopting two of my children has revolutionized my heart and the heart of my family. Our ministry’s heart for orphan care has grown and continues to become more passionate. After we had written and recorded “Roll The Stone Away” on the Taste and See project, I discovered I wanted to write more about this theme: the urgency of taking care of children in poverty, orphans, little ones who can easily go unnoticed and the hurt to advocate for them and tell the stories of how the Father God’s heart is all about this. 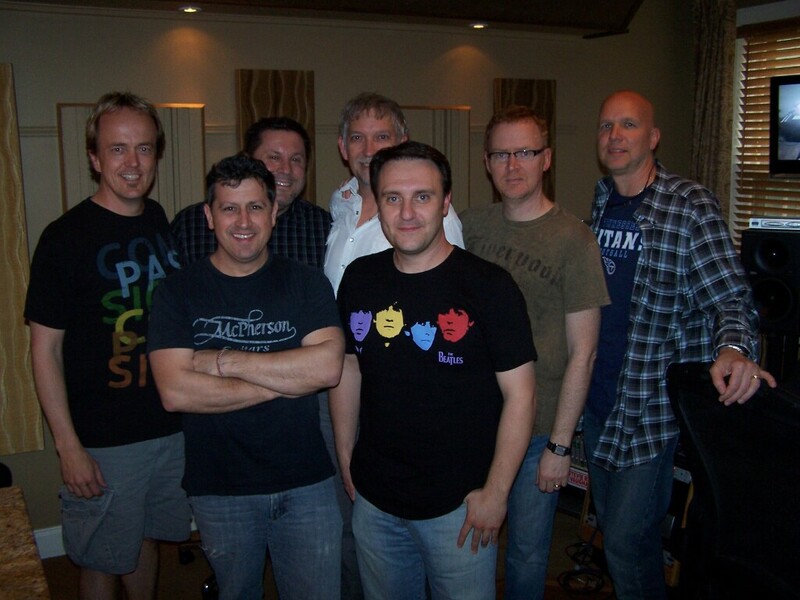 When we were writing the Rescue CD, I had always kept a bunch of side notes about God’s heart for the poor, left behind, widows, orphans, and so on. The difference this time was finding the word or words that would really speak of what happens when you reach out to a child and pour some of yourself into them AND how we just can’t procrastinate about doing something. 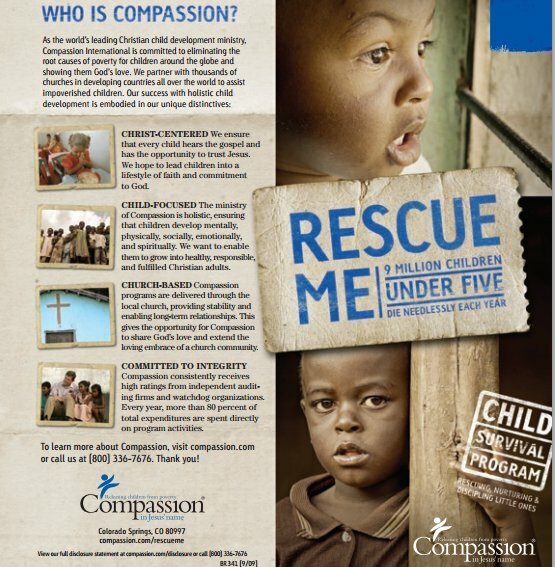 I was standing in my kitchen with my wife, Sherri, when one our staff brought a package we received from Compassion. It was information about a new program called Rescue Me, a ministry specifically for children who are under five years of age and are at high risk of not surviving. It was this ministry and more so this word “rescue.” Rescue means “to free or deliver form confinement, danger, or evil.” That said everything to me. I already had a tune in my head that I came up when I was on a run so I started to lay down some ideas and immediately sent them to Bob Stromberg and my producer Paul Marino. Because they both have a heart for Compassion and children in need, we went right to work. The one thing about the song that is different is it has less of a feel of gentleness or graciousness. What I mean is that sometimes when we talk about a subject like this we tend to approach it with “Would you mind if we talk about poverty?” or “If it doesn’t make you uncomfortable, could I tell you about children who are hurting?” The word rescue itself pretty much squelches that. To rescue someone is not convenient; it’s an urgent moment. When we wrote this song, we wanted to be true to the word and the reality. Children need to be rescued. It’s urgent and not always convenient. Check out the “Come to the Rescue” video. Please retweet it, re-post it, share it in whatever way you can. It’s not about charity; it’s about justice. If you go to www.PederEide.com and click on the Compassion Tab and sponsor a child, we will send you a copy of Rescue. 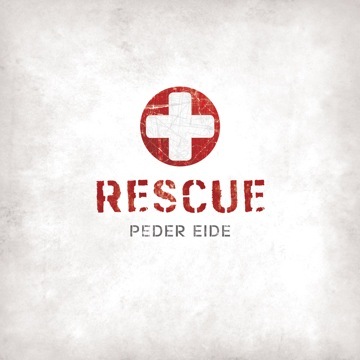 Just email me at peder@pedereide.com and tell me you sponsored a child and we will get the music. Why did they die and leave him behind? Can you hear them? Will you listen? Can you hear them? / Can you hear them? Will you listen? / Will you listen? Can you hear their cries? Is your heart breaking? Can you feel the aching inside? I never dreamed a song would come to me through the mail. Keep carrying the Kingdom of God, my friends, to all who need the presence of our Abba Father. I was leading worship for a senior high youth event called Godstock during the time when I was writing for the project Taste And See. He taught the students a prayer with that verse broken down into sections. He started each line with the beginning of the verse but would subtract a word each time, making it shorter and shorter until all that was left was “Be.” I was so moved by this prayer because Psalm 46:10 was a crucial verse for me when I lost my mom to a car accident when I was 14. As he continued to teach the students the prayer, I took the music I was playing behind Lyle and sang the words of the prayer in my head. I would adjust the music to fit the words without disrupting the prayer time. In my head it was coming together. When Lyle was done praying, I started to sing what was in my head. In songwriting this is the biggest risk you can take. First, because you have no idea how it’s going to flow. Second, because you have no idea how it will be received. Praise be to God! It went amazing. When I began to sing the tune, I loved the words coming off of my lips. It became so important for my own heart to hear myself say those words out loud. That was the chorus right there. After the weekend I invited Bob and Paul to help me write the verses of what became one of my favorite songs. of this you can be sure. Rest in My promise that I am here. Special thanks to Lyle for blessing my life with his powerful story and journey. Here is a link to a free ringtone for the song “Be.” Sometimes it’s good to “be” reminded that God is still God and His peace is perfect no matter who is calling. Hope you’re enjoying the inseide look. I’m enjoying telling the stories and hearing how God has used these songs in your life. Does Psalm 46:10 have a special meaning to you? How about the song “Be”? The next blogs are going to be in response to an invitation to ask how I wrote certain songs. What inspired them, where they came from, and little back story. For me, song ideas come from anywhere. Books, sermons, my own devotional time, movies, advertisements, personal experience, almost anywhere. When my oldest son Taylor was about 11, I did a read aloud with him called Teknon, The Champion Warrior. It’s a kids science fiction story centered on a father and son as the son comes into young manhood. The father is a brilliant scientist and soldier/warrior who gathers fellow warriors to go and take on the evil villain who has stolen the Logos (which is a symbol for God’s Truth and Word in the story). The son is asked to come a long as test of his character and to see if he is ready to enter into manhood. Taylor and now my son Ethan both love it! It really struck me. As a follower of Jesus, am I really ok with whatever God wants to do with me as long brings Him glory and like we pray “Thy Kingdom come Thy Will be done”? There is more to that than just trying to say the right words. That’s how I want to live. I don’t but I desire it and seek it. After church I went home into my basement and started to pound out the bridge from the very phrase Peter had said to Pastor Bill. I hope you are blessed by the tune and, as always, I hope you pass this blog along to others who might find it encouraging. It’s a blessing to what we do here. You can order or download the Rescue CD at www.PederEide.com. Click here to listen to a sample. That’s my story of writing “Nothing More Nothing Less Nothing Else.” Now it’s your turn to tell your story about hearing it. Leave it in the comments section for me to read. If to live is Christ and to die is gain, then teach me how to die. then let Your kingdom come. Let Your will be done. Nothing more nothing less nothing else. Do what You want with me. If to live by faith is to run the race, then teach me how to run. Do what You want. Do what You want. If I die, if I live, either way, I win. For I know where I stand: If it’s You, I’m in. So many times I have been asked, as most songwriters are: When you write songs, does the music come first or the words?, How do you come up with the lyrics?, Who is your inspiration?, How do you know when a songs is good?, etc. I’ve decided to answer some of those questions (and more) here on my blog. For the weeks ahead, I’ll blog about songs I have written and what was the process in writing them. What songs have you always wanted to know about how and why we wrote them? Songs from Rescue, Taste and See, Perfect Surprise, and even older albums are all fair game. I might answer you via a written blog or maybe a vlog. We will give out free ringtones and even some free full song downloads. Pick any song you would like to know about, leave a request in the comments section, and I will bring a little behind the curtain thought as we go “inseide” the songs. I look forward to hearing which songs you’ve always been curious about.